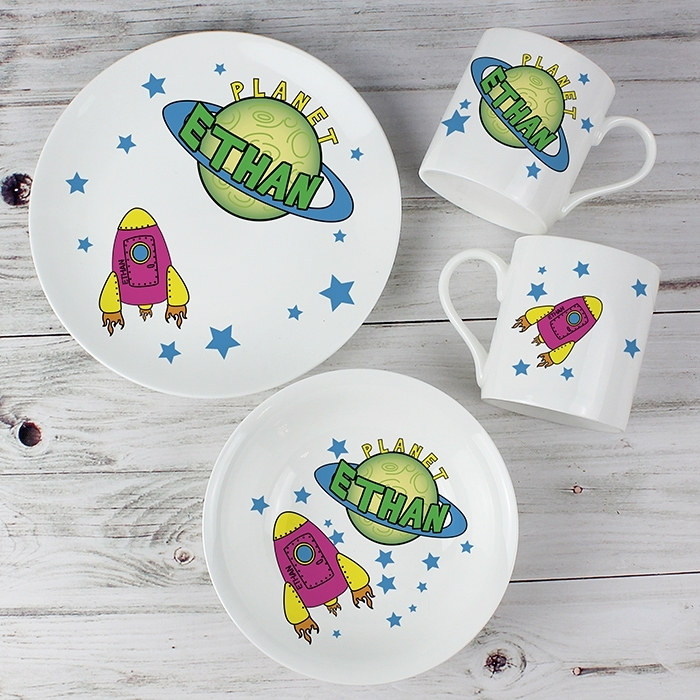 The choices of occasions are endless for this Personalised Space Breakfast Set. 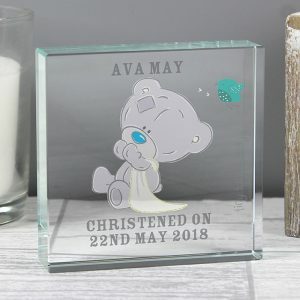 Fun and colourful in design, the set consists of a plate, bowl and mug all personalised for the child with a name up to 12 characters in length. ‘Planet’ is fixed text all on items. 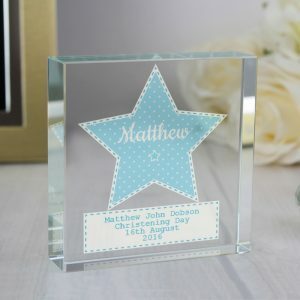 Personalising the set will ensure mealtimes are fun, and will also help in the recognition of seeing and learning how to spell their own name. This out of this world set is presented inside a folding gift box, so the wrapping is more or less done for you. Our breakfast set will make a super duper birthday or christmas present for any young child.